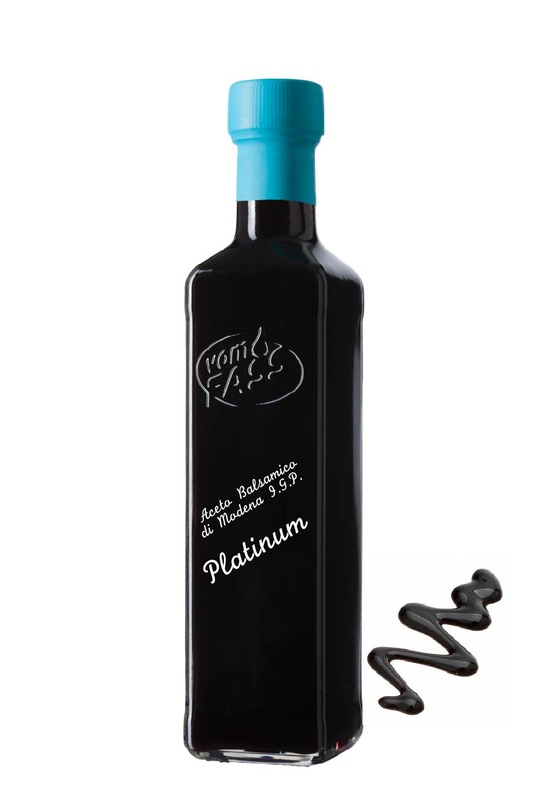 This is a truly splendid Aceto Balsamico and an insider secret for highly sophisticated cuisine. Its tight, velvety opulence and distinctive flavoring ennobles fine salads, sauces, meat dishes, soups and crock pots. This vinegar nestles against the finest ingredients with a fruity, dense fullness. Absolutely inspiring as a fine seasoning on Carpaccio. Rich, nearly black, and beguiling - this vinegar has a fruity richness and a fantastic full flavor!